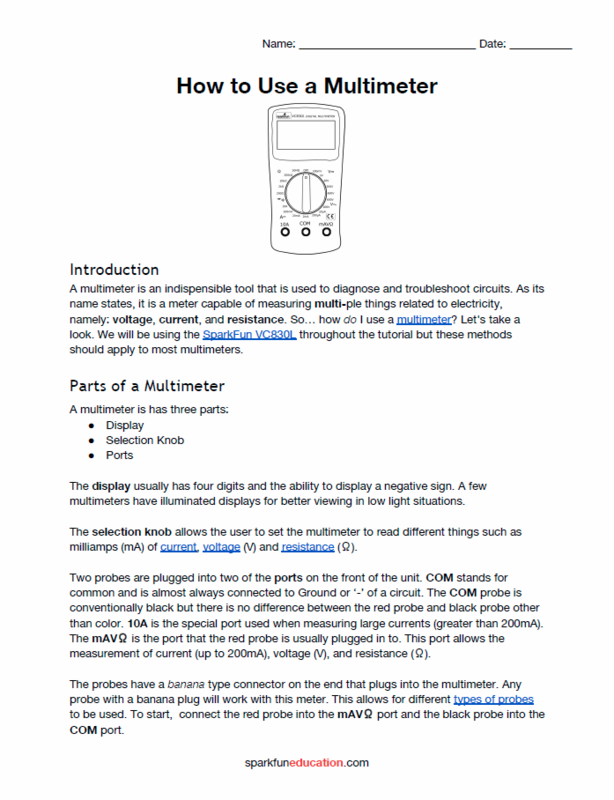 This is a hand-out that was developed using materials in our "How to use a Multimeter" tutorial. This hand-out is developed to be printed out and used in a classroom. This hand-out is available as a (pdf) as well as a share-able / edit-able google doc link.